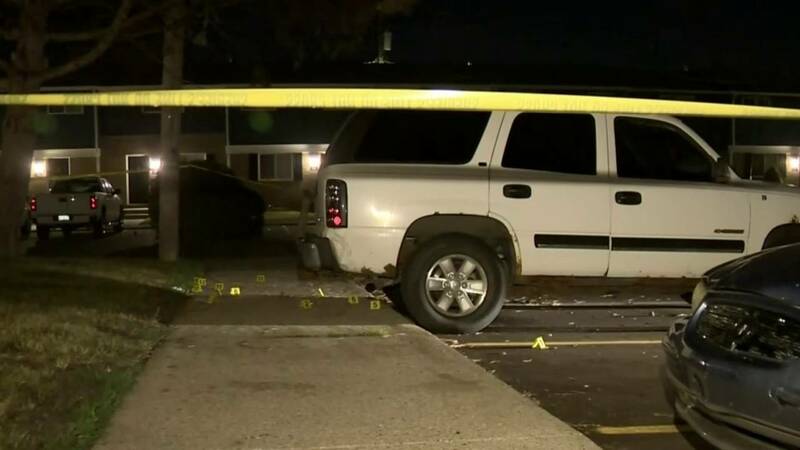 PONTIAC, Mich. - A 26-year-old man was shot and killed Friday morning at the Newman Court Apartments in Pontiac. Officials said the fatal shooting happened around 1:30 a.m. at the apartments on University Drive between Martin Luther King Jr. Boulevard and Opdyke Road. The victim was found lying outside next to a red Chevrolet Equinox. Evidence markers littered the parking lot. "I heard 'pop, pop, pop,' like six or seven times," said Ali Brown, who lives nearby. "I looked out my door and I saw a whole bunch of people running." It is believed the victim, who lived at the apartment complex, was in his vehicle trying to get away when he was shot. He crashed into another vehicle. He was shot five times. Oakland County Sheriff's investigators are trying to figure out what happened.